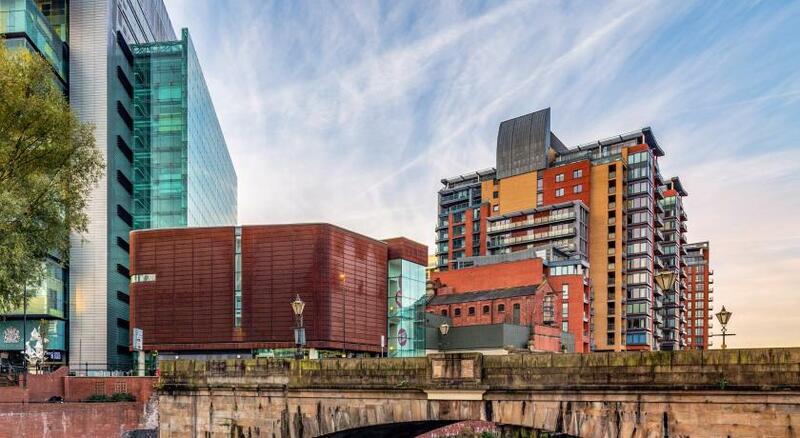 Lock in a great price for The Lowry Hotel – rated 9.1 by recent guests! My husband and adult son stayed here recently while they were in Manchester for a match. They couldn’t say enough about the hotel and staff when they arrived back home in the States. The hotel was beautiful and the staff were more than helpful and accommodating, even offering early check-in when they arrived after an overnight flight. The breakfast also received top marks from them for taste and presentation! They said everything was seamless and perfect, and the hotel staff helped to make this father/son annual trip one of the best they’ve ever had! That when we checked in Man United team we’re leaving , my partner being a big fan made his day !! Prompt service ! Truly a 5-star experience. The food was excellent and the staff were very helpful in accommodating my needs, whether that meant finding places around town or serving drinks and food. The atmosphere was very posh, and I understand why a football club like United would make this their base of operations before a match day. World class. Spacious room. Car parking next to hotel. Proximity to city centre. Request for 2 rooms next to each other acknowledged. Everything. The location. The room. The atmosphere. The staff. The food. Great location. Immaculately clean rooms, fantastic comfortable beds in big room. Nice bathroom toiletries. 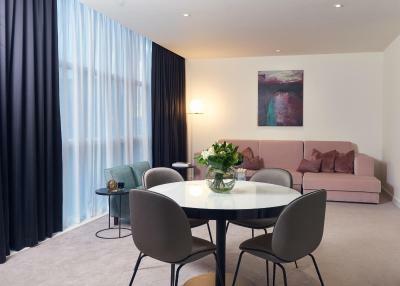 The Lowry Hotel This rating is a reflection of how the property compares to the industry standard when it comes to price, facilities and services available. It's based on a self-evaluation by the property. Use this rating to help choose your stay! 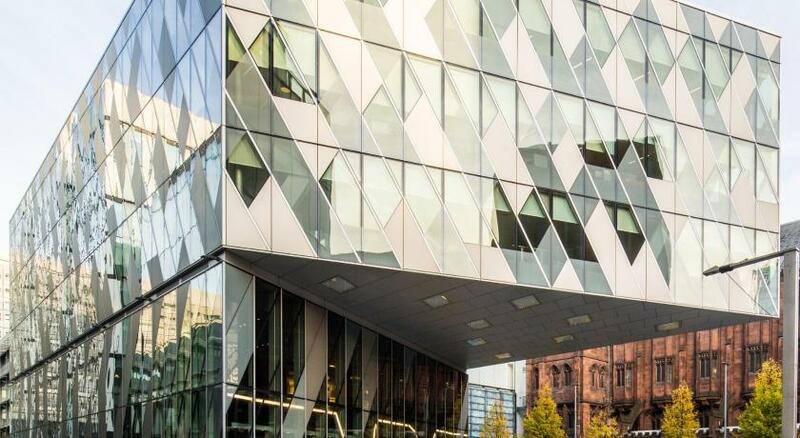 One of our top picks in Manchester.On the banks of the River Irwell, the award-winning Lowry dominates the skyline with its curved, glass-fronted façade. It has rooms with stunning views, a riverside restaurant and a spa. Free WiFi is also available. The hotel spa uses Elemis and QMS Medicosmetics Skincare Collection. There are five treatment rooms, a couples room, a relaxation room, a sauna, gym with Techno equipment, hair salon and a dedicated manicure/pedicure area. 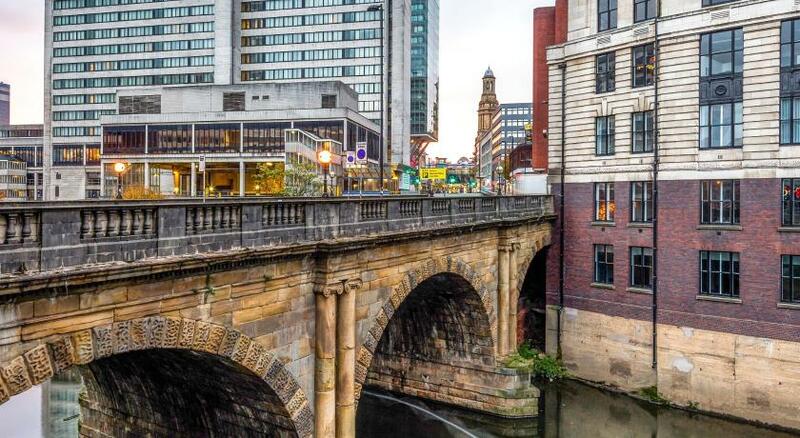 Manchester Cathedral and The People’s History Museum are both just a 5-minute walk away. Private parking is available (for an additional charge). 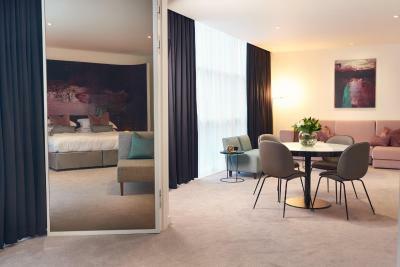 When would you like to stay at The Lowry Hotel? This room features a separate lounge and dining area with views of the River Irwell, Trinity Bridge, and the city skyline. It also offers a well-stocked minibar, snack basket and flat-screen TV. This room has a walk-in dressing room and Italian porcelain bathroom with a hairdryer and complimentary toiletries. 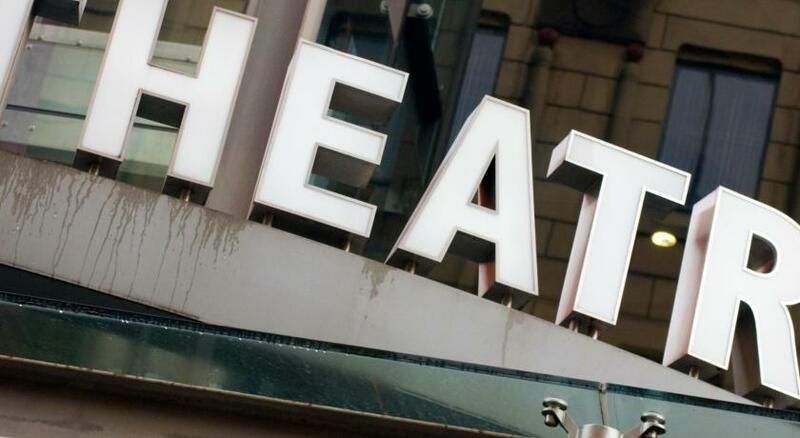 House Rules The Lowry Hotel takes special requests – add in the next step! The Lowry Hotel accepts these cards and reserves the right to temporarily hold an amount prior to arrival. Please note that guests wishing to dine at River Bar & Grill are advised to book a table in advance. Please ensure that the card used for prepayment is presented on arrival, if you will not have the card that was used for the prepayment then please contact the the property. 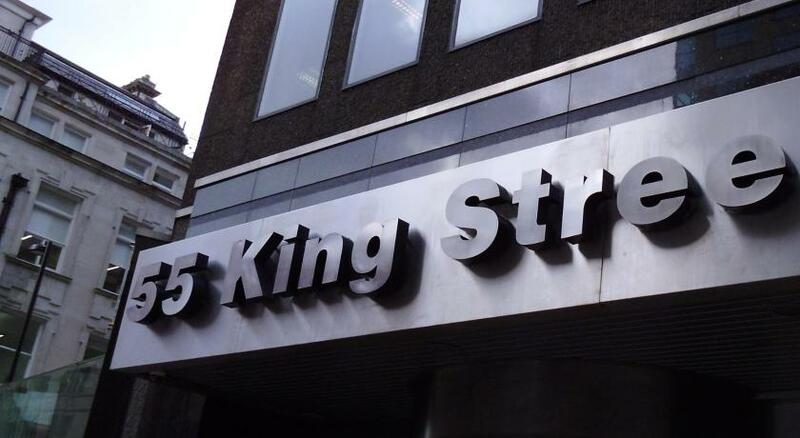 Please note that from 1 April 2019 car parking charges will increase to GBP 24 per car, per 24 hours. Some of the staff on reception were not very friendly and made us feel quite unwelcome. The beds were very comfortable and it was a good nights sleep. That I couldn’t get through crowds to check in. The slow service in the bar area. Check in tiny! That I was shouted at by a security man whilst trying to find a temporary check in area. whoh referred to me as oi! And then asked Where I thought I was going? Rude! The drunks in the bar being rowdy. The noise in the hotel. Had a full English breakfast made to order and the bacon and sausage was well over cooked by anybody’s standard. There is a lot of construction work going on. The room was brilliant but not the view or surroundings. Hotel lobby as well is under reconstruction. Building work nearby at present, though it dudnt disturb us. Absolutely massive room with a huge bed. Bags taken to the room for us. Got a fantastic price for our stay so keep an eye out for cheap late prices. Single beds felt small and the duvet also. Would have like water available in the room on arrival rather than waiting for it to be given by housekeeping. Good size modern room with nice view of the canal. Decent massage. They called me from the reception around 11AM, and ask me to check out immediately. They said because the hotel full booked and will be busy. It's not free hotel.. I paid money to stay until check out time which is 12:00.